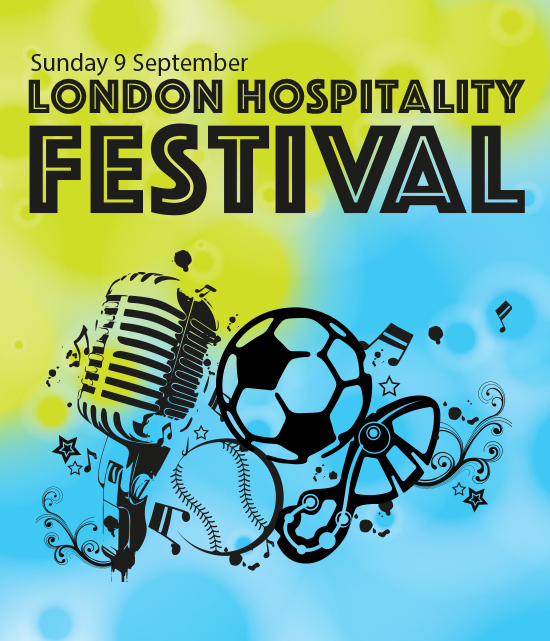 Established in 2008, with 10 hotels playing football in Hyde Park with jumpers for goalposts and scores on a whiteboard we started something that we had no idea would turn into a major event for hospitality workers across London. This year is our 10th anniversary, and to celebrate we' ve put lots of effort into turning the well-established sporting tournaments into a family-friendly festival for the whole hospitality industry. You can cheer on your friends as they compete in the football or chill with a beer and check out the free live music we have playing all day.We included live music to entertain the friends and colleagues, we added free face painting and bouncy castles to entertain the families. For several years we have used Kings House School sports ground in Chiswick and Big Bus Tours have Kindly transferred players from Hammersmith tube station to the ground. This year is our 10th Anniversary! And we are planning the biggest party ever. General Admission is now open - and free! Music, food, kids entertainment and of course bars! Kick back and enjoy the last rays of summer. Free tickets, just sign up, you may even win an iPhone X. Click the button below to get started now. There are still places left to register your football or softball squads. You need to register your team now, and you can always come back and amend your team. Football, and lots of it! 6 levels of trophies!